Up to 16 people were hospitalised on Sunday after a shooting in a New Orleans park where hundreds of people had gathered for the making of a music video, local media reported, citing police. 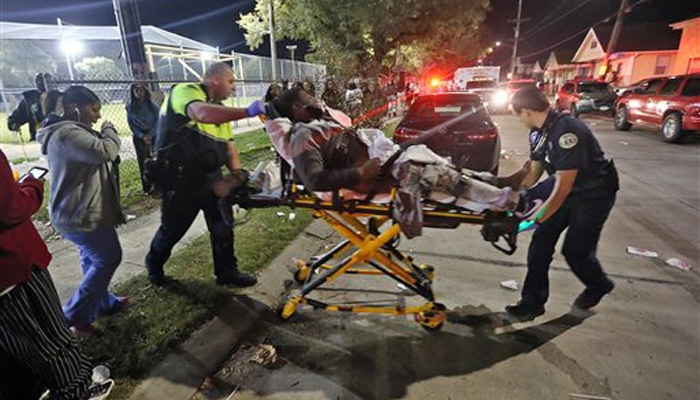 The shooting occurred around 7 pm local time (0100 GMT on Monday) in Bunny Friend Park in the city's Upper Ninth Ward. The Times-Picayune newspaper quoted New Orleans Police Superintendent Michael Harrison as saying he believed multiple people had fired into the crowd of more than 300. "I can't speak to the condition" of all the victims, Harrison said, but "no one has died at this time," the newspaper quoted him as saying. Three witnesses told the Times-Picayune they saw a man with a silver-colored machine gun, and also heard more gunshots coming from within the crowd as he ran away. Several people were lying on the sidewalk after the shooting, it said. NOPD spokesman Tyler Gamble told the New York Times that police learned from witnesses that "there were two groups that were firing shots back and forth at each other, and then ran off after each other on foot." WVUE TV said police believed the shooting stemmed from a fight. Media reports put the number of victims at 10 to 16 and said they had been taken to local hospitals. New Orleans Mayor Mitch Landrieu had arrived at the scene of the shooting, the Times-Picayune said.